New Acer replacement lcd back cover. Part # 60.GDZN7.001. Works w/ Acer Aspire E5-523, E5-523G, E5-553, E5-553G, E5-575, E5-575G, E5-575T, E5-575TG Laptops. Acer Aspire ES1-523, ES1-532, ES1-532G, ES1-533, ES1-572. This part is black in color and features a textured dot pattern. Laptop Lcd Cables. Laptop Lcd Screens. Laptop Keyboards. Laptop Cover Parts. Acer Aspire VX15 VX5-591G. This part is black and red in color. This may be the part you need to replace your cracked or broken back cover. Laptop Lcd Cables. Laptop Lcd Screens. Laptop Keyboards. Laptop Cover Parts. This may be the part you need to replace your cracked or broken upper case. Acer Spin 3 SP315-51. Laptop Keyboard Skins. The guidelines are below. Printer Parts & Supplies. Laptop Lcd Screens. Laptop Hinges & Brackets. Compatible Part #'s: 6M. GCCN5.001, N156HCA-EA1. The module is made up of the screen, digitizer and bezel. This screen does not include the digitizer board. Acer Aspire R5-571T, R5-571TG. Laptop Lcd Cables. Acer Aspire E5-523, E5-523G, E5-553, E5-553G, E5-575, E5-575G, E5-575T, E5-575TG. This part is black in color and features a textured pattern. Laptop Lcd Cables. Laptop Lcd Screens. Laptop Keyboards. 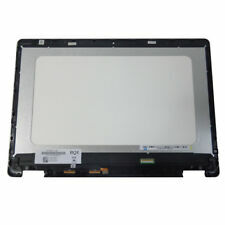 Acer Aspire 5 A515-51 A515-51G Lcd Back Cover 60. Acer Aspire 5 A515-51, A515-51G. Laptop Lcd Cables. Laptop Lcd Screens. The guidelines are below. Compatible Part #'s: 60. Laptop Cover Parts. Laptop DC Power Jacks. Acer Nitro 5 AN515-41, AN515-42, AN515-51, AN515-53. This part is black in color. This may be the part you need to replace your cracked or broken back cover. Laptop Lcd Cables. Laptop Lcd Screens. Laptop Keyboards. Trending at $79.98eBay determines this price through a machine learned model of the product's sale prices within the last 90 days. 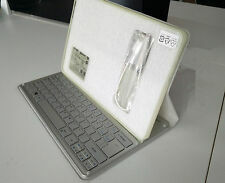 Acer Aspire E5-523 E5-553 E5-575 E5-576 Palmrest & Keyboard 6B. Compatible Part #'s: 6B. Acer Aspire E5-523, E5-523G, E5-553, E5-553G, E5-575, E5-575G, E5-575T, E5-575TG, E5-576, E5-576G. Acer TravelMate P259-M, P259-MG.
Acer Chromebook C720P Black Lcd Touch Screen Digitizer Module 11.6"
This part is for touchscreen models only. The module is made up of the screen, digitizer, bezel, lcd back cover, lcd cable and hinges. Laptop Lcd Cables. Laptop Lcd Screens. The guidelines are below. Trending at $53.99eBay determines this price through a machine learned model of the product's sale prices within the last 90 days. This is a 11.6" LED LCD screen. It is a matte finish with a 30 pin EDP connector on the back right. Please verify that your screen uses the 30 pin EDP and not the older 40 pin model and matches the image provided. The screw connections are on the sides. Laptop Lcd Cables. Laptop Lcd Screens. Laptop Keyboards. Laptop Cover Parts. Laptop Batteries. Laptop DC Power Jacks. Laptop Cpu Fans. Laptop Hinges & Brackets. 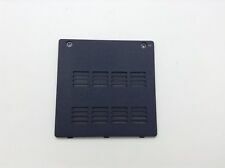 This touchpad is gray in color and it also includes the bracket. Laptop Keyboards. Laptop Batteries. Laptop DC Power Jacks. Laptop Cover Parts. Laptop Cpu Fans. Laptop Hinges & Brackets. Laptop Lcd Cables. Acer Aspire E5-553, E5-553G. Acer Aspire E5-575, E5-575G, E5-575T, E5-575TG. Laptop Lcd Cables. Laptop Lcd Screens. The guidelines are below. Compatible Part #'s: 60. Laptop Cover Parts. Laptop DC Power Jacks. Acer Aspire E5-523, E5-523G, E5-553, E5-553G, E5-575, E5-575G, E5-575T, E5-575TG. Acer TravelMate P259-M, P259-MG. Laptop Lcd Cables. Laptop Lcd Screens. Laptop Keyboards. Laptop Batteries. Laptop DC Power Jacks. This upper case does not include the touchpad. This original part is white with black keys. Laptop Keyboard Skins. Laptop Keyboards. Laptop Batteries. Laptop DC Power Jacks. Laptop Cover Parts. Laptop Cpu Fans. Acer Aspire 5 A515-51, A515-51G. Laptop Lcd Cables. Laptop Lcd Screens. The guidelines are below. Laptop Cover Parts. Compatible Part #'s: 33. Laptop DC Power Jacks. Laptop Batteries. Acer Aspire 5 A515-51 A515-51G Palmrest & Non-Backlit Keyboard 6B. Compatible Part #'s: 6B. There is more than 1 palmrest for the models listed. Acer Aspire 5 A515-51, A515-51G. Laptop Keyboard Skins. New Acer Aspire E5-521 E5-571 V5-561 R7-571 R7-572 Laptop Lcd Screen 15.6"
Acer Aspire E1-510, E1-510P, E1-522, E1-530, E1-530G, E1-532, E1-532G, E1-532P, E1-532PG, E1-570, E1-570G, E1-572, E1-572G, E1-572P, E1-572PG, E5-521, E5-571, E5-571G, ES1-512, V5-561, V5-561G, V5-561P, V5-561PG, V5-571, V5-571G, V5-571P, V5-571PG, R7-571, R7-572. Acer Nitro 5 AN515-41, AN515-42, AN515-51, AN515-53. Acer Predator Helios 300 G3-571, G3-572, PH315-51. Laptop Lcd Cables. Laptop Lcd Screens. Laptop Cover Parts. The guidelines are below. Compatible Part #'s: 33. Acer Aspire A315-21 A315-31 A315-51 A315-52 Palmrest & US Keyboard 6B. Compatible Part #'s: 6B. The touchpad is not included. Acer Aspire 3 A315-21, A315-31, A315-51, A315-52. Laptop Keyboard Skins. Acer Aspire E5-575, E5-575G, E5-575T, E5-575TG. Laptop Lcd Cables. Laptop Lcd Screens. Compatible Part #'s: 60. The guidelines are below. Laptop Cover Parts. Laptop DC Power Jacks. Laptop Batteries. 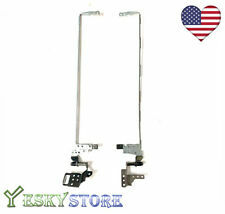 This list is for: NEW Acer Aspire 5 A515-51 A515-51G Right & Left Lcd Hinge Set. 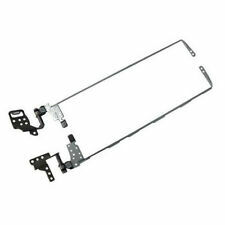 Compatible with: Acer Aspire 5 A515-51 A515-51G. Acer Aspire 5742ZG. Acer Aspire 5742Z. Acer Aspire 5742. 2x 3 RCA AV Audio Video Female to Female Jack Coupler Adapter 3RCA Connector. We might require you to send us photo/s of the item received and also your original item so we can compare and conduct necessary actions. Acer Switch Alpha 12 SA5-271, SA5-271P. Acer Aspire R7-372T. Laptop Keyboard Skins. Laptop Keyboards. Laptop Cover Parts. Laptop Batteries. Laptop DC Power Jacks. Laptop Cpu Fans. Laptop Keyboard Skins. Compatible Part #'s: 60. Printer Parts & Supplies. Laptop Lcd Screens. Laptop Lcd Cables. Laptop Cover Parts. The guidelines are below. Laptop Batteries. R4F02.002 UMA. Part #'s: 60. Acer Aspire 5252, 5253, 5336, 5552, 5552G, 5736, 5736G, 5736Z, 5742, 5742G, 5742Z, 5742ZG. UMA version. There are two different cases for the Aspire 5552/5552G and Aspire 5742(G/Z/ZG) series. 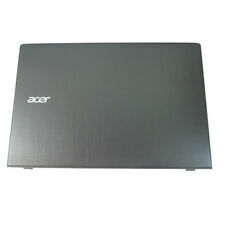 Acer Aspire E5-531 E5-551 E5-571 E5-511 E5-521. Laptop Keyboard Skins. Acer Extensa 2508, 2509, 2510, 2510G. Acer TravelMate P255MG, P255MP, P255MPG, P256-M, P273-M, P273-MG, P276-M, P276-MG. Laptop Keyboards. Laptop Batteries. Laptop DC Power Jacks. Aspire E5-523, E5-553, E5-575, E5-576, K50-20. 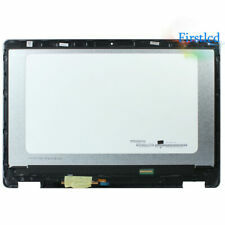 Original Acer AspireE5-575 LCD rear cover. 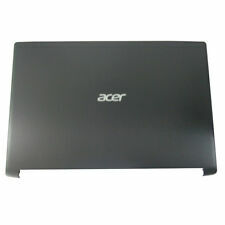 Acer P/N: 60. color: dark grey (black in Acer pricelist). It is Acer genuine original part. 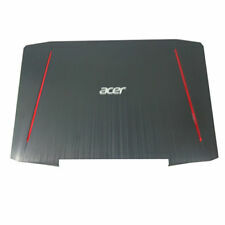 Acer Predator 17 G5-793 Lcd Back Cover 60. Acer Predator 17 G5-793. Laptop Lcd Cables. Laptop Lcd Screens. The guidelines are below. Compatible Part #'s: 60. Laptop Cover Parts. Laptop DC Power Jacks. 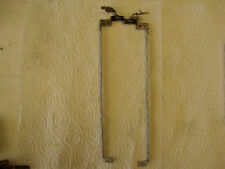 Excellent condition key with corresponding hinge. Compatible Part #'s: 6B. This upper case includes the keyboard. This original part is black and red in color. Acer Nitro 5 AN515-41, AN515-51. Laptop Keyboard Skins. Laptop Keyboards. Laptop Batteries. Part number:33. GDEN7.001 33. 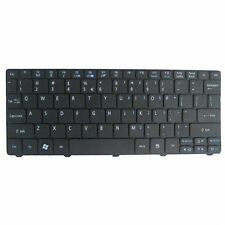 Compatible with Acer Aspire E5-523 E5-553 E5-575 E5-576 F5-573. (3 ) Make sure all other specs are correct. Check above for "Item Specifics". 2) Screen resolution:1024 X 600 (WSVGA ). Here's an instructional video on how to replace your LCD. This should cover most Apple Macbook laptop models. But no breaks, no missing keys. Laptop Lcd Cables. Laptop Lcd Screens. The guidelines are below. Compatible Part #'s: 60. Laptop Cover Parts. Laptop DC Power Jacks. Laptop Batteries. Compatible Models. Laptop Keyboard Skins. Laptop Keyboards. Laptop Batteries. Laptop DC Power Jacks. Laptop Cover Parts. Laptop Cpu Fans. Laptop Hinges & Brackets. Laptop Lcd Cables. I5 7TH GENERATION ,CPU IS I5 -7200U,SPEED 2.5. I HAVE A ACER E5-7748 LAPTOP UP FOR SALE. THE UNIT IS GREAT SHAPE,NO DINGS,DENTS OR SCUFF MARKS. A FRESH COPY OF WINDOWS 10 HAS BEEN INSTALLED.ALL SYSTEM DRIVERS ARE CURRENT AS WELL.HERE ARE THE SPECS. 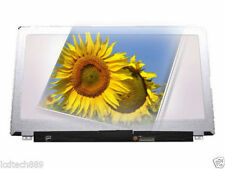 Acer Aspire 5 A515-51 A515-51G Lcd Front Bezel 60. Acer Aspire 5 A515-51, A515-51G. Laptop Lcd Cables. Laptop Lcd Screens. Compatible Part #'s: 60. The guidelines are below. Laptop Cover Parts. Laptop DC Power Jacks. 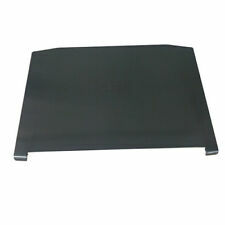 Compatible with: Acer Aspire E5-575 E5-575G E5-575T E5-575TG series. We shall not be hold responsible for the improper use of our product(s). 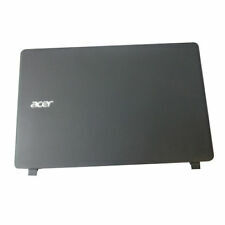 Compatible Models: Acer Aspire 5810 5810T 5410 5410T 5536 5536G 5738 Series. 1 x Keyboard. Layout: US. Color: Black. Condition: New. We will do our best to make you have a wonderful purchasing experience. EMachines E528. Laptop Keyboard Skins. US Version. Laptop Keyboards. Laptop Batteries. Laptop DC Power Jacks. Laptop Cover Parts. Laptop Cpu Fans. We strive to be your #1 source for computer parts. Fully tested and working 100%. All inquires will be answered within 24 hours. Operated From. Why Choose Us. We partner with the largest computer part wholesalers throughout the United States and provide the highest quality products available. This item is in used grade "B" condition. Laptop Keyboard Skins. The guidelines are below. Laptop Hinges & Brackets. Laptop Cpu Fans. Laptop Cover Parts. Laptop DC Power Jacks. Compatible Models.